Come celebrate your child's special day with us! 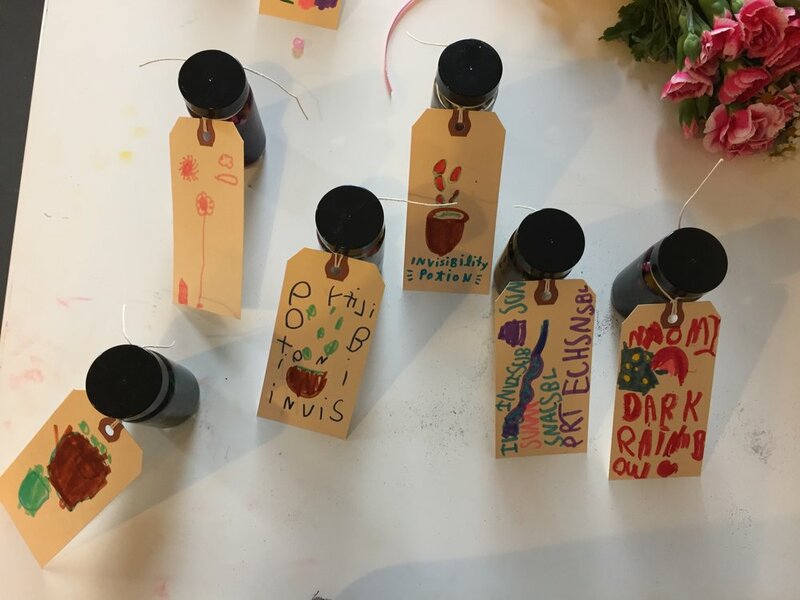 Art Parties for children ages 3+ : Make Do staff leads and facilitates the party and art projects that is carefully curated for the birthday child. Our artful birthday parties are 1.5 hours long, include up to 8 children, and cost $250. We can add up to two more guests (for a total of 10 children) for $10/child. We provide one hour of art activities for your child and their guests, and leave the last half hour for you to do cake, snacks and presents! Families provide their own refreshments, food and paper goods. 1:15- 1:30- Parents and birthday child arrive, set up, add special decorations, etc. 1:30- 1:45- friends arrive/ teachers are on duty ready to help direct and assist. There will be a smaller activity set up as we wait for everyone to arrive. For younger kids there will be a giant cardboard birthday cake to paint and decorate, and for older kids there will be a small craft like making fairy dust necklaces or keychains, etc. There will always be a birthday banner for friends to help draw and decorate! 1:45- 2:30- Main project time. The project will depend on the age and interests of the child. We have set projects and themes you can choose from, or we can help design an activity especially for your child. 2:30- 3- the parents take over! This is the time for cake and presents. Some examples of popular party themes we have done in the past are: pom pom pets, magic potion making, fairy house building, slime making, and sew (and paint) your own pillows. We have lots of ideas for a variety of ages and skill levels. If you have an upcoming party you want to plan with Make Do, please send us an email and we can get started!